Hello! Here with my last Valentine design of the year, and a very simple one at that! It features Stamp Simply Ribbon Store's "Thinking of You Rose" stamp set (sentiment) and Stamp Simply Ribbon Store's steel "Farmhouse Pierced Nested Heart Dies." Also featured, Kaisercraft's lovely "Mademoiselle" decorator paper...gorgeous prints with a seamstress/sewing influence! I began with a longer, narrower card base...it measures 6.5" x 4." The cream colored base is covered with a dark green piece from the Mademoiselle paper pad. The image panel is also a piece of the printed decorator paper. 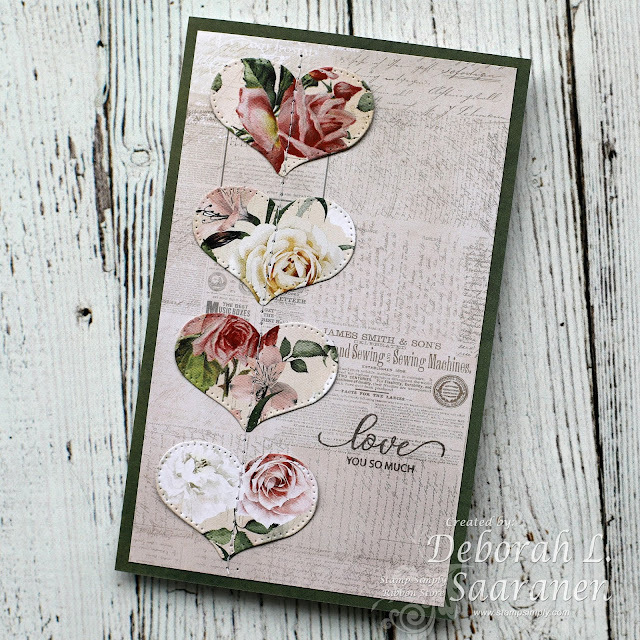 I die cut four hearts using the Stamp Simply heart die set, mentioned above. I arranged the hearts on the panel using a bit of Scor-Tape to hold them in place. I was careful not to put the sticky tape in the center of the hearts since I intended to do a bit of sewing machine stitching down the centers. I thought the stitching was a fun addition to the sewing theme as it added a similar "stitched" element, same as the pierced borders of the hearts. 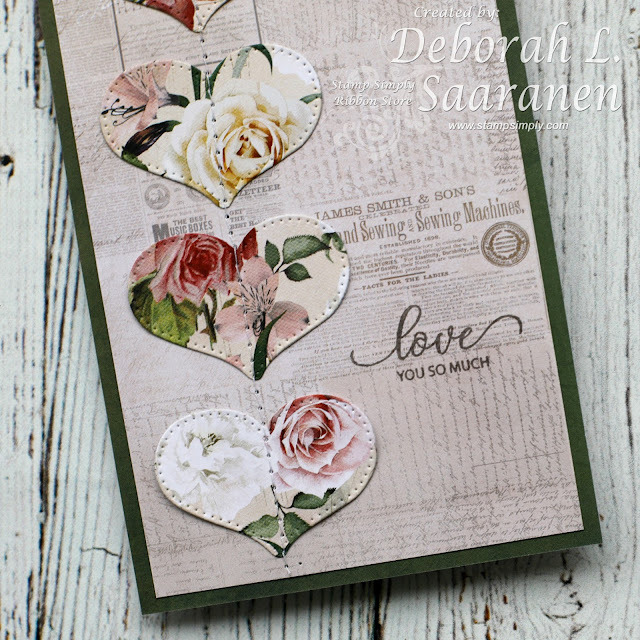 I stamped the "love you so much" sentiment with Versafine Smokey Gray ink and a Tonic Stamp Platform. The inside also got a bit of heart treatment with the addition of a couple of the smallest heart die cuts from the Stamp Simply heart die set. 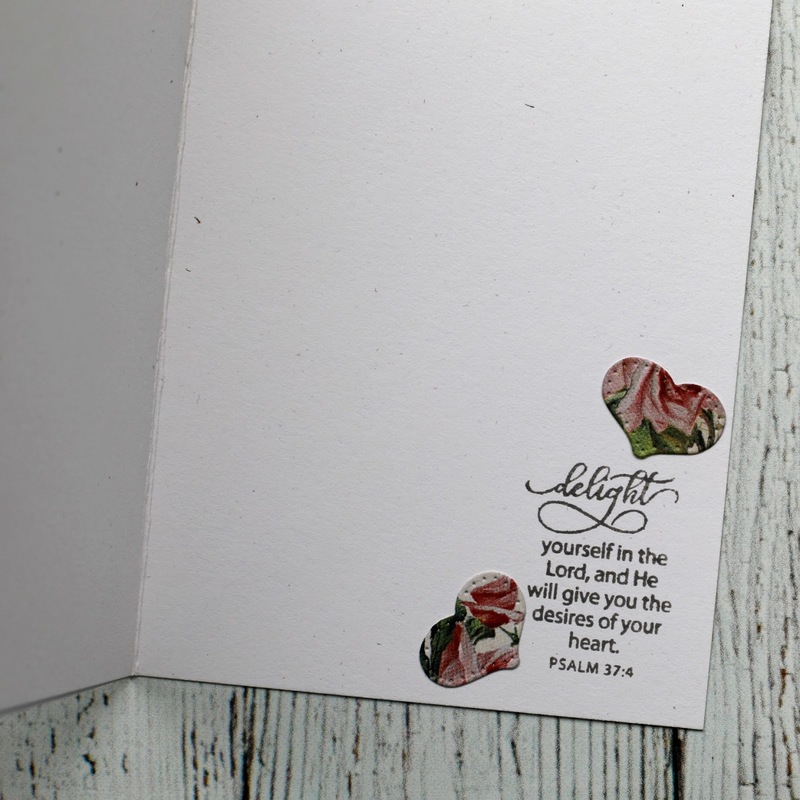 The Bible verse (Stamp Simply's Thinking of You Rose) was also stamped with the Versafine Smokey Gray ink. 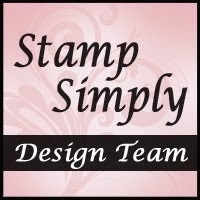 A good number of Kaisercraft and other papers are on sale right now at Stamp Simply...25-50% off! 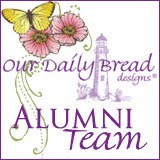 Spellbinder Christmas dies are 40%+ off as well.